Green Way Packers is your answer to getting ready for moving day when time is running out and the stress levels are starting to increase. Even if you have the time, but not the inclination to organize yourself for a home move, Green Way Packers will have your home packed up and ready to go in no time at all. Why do it yourself when someone else can do it for you? A professional & courteous home packing service, our Women only Teams will treat your possessions carefully and with respect. Take the pressure off what should be an exciting time and leave the tedious, if not daunting task, of packing to someone with expertise and experience. If you are relocating, preparing for renovations, organizing a senior's move, experiencing time constraints - this is the one call you can make that will save you valuable time. Our unique service enables you to arrange to have your home packed up with as minimal stress as possible. 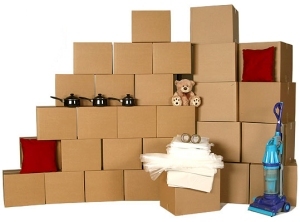 Not only do we pack, we can also help with de-cluttering your current home and unpacking at the other end. We can move you as well. If you are moving within our local area, our dedicated, uniformed and efficient crew of movers will have you in your new home quickly and carefully. In no time at all, your new home will be livable and comfortable without unpacked boxes lying around waiting to be emptied. We can liaise with ANY moving company, renovation company, or storage facility to further ensure that the process is smooth sailing. Green Way Packers are committed to preserving the environment. Only recycled materials are used and we re-use materials where possible. Green Way Packers services much of Southern Alberta including Black Diamond, Bragg Creek, City of Calgary, Foothills, High River, Kananaskis, Millarville, Okotoks, Priddis, Turner Valley, Airdrie, Nanton, Claresholm and acreages and rural properties.